Chennai Super Kings (CSK) skipper Mahendra Singh Dhoni completed his 100th win in the Indian Premier League as captain. Dhoni registered this landmark in the Thursday's match against the Rajasthan Royals (RR) at the Sawai Mansingh Stadium in Jaipur. Rajasthan Royals vs Chennai Super Kings Live Cricket Score 25th T20 Match. With this win, Chennai Super Kings has consolidated its position at the top of the table. Chennai now leads the table with 12 points in seven matches. 'Captain Cool' MS Dhoni Loses Cool in Final Over of CSK vs RR, Hits Out at Umpire for Retracting No Ball Call. Chennai, chasing a modest total of 152 to win, won the match on the last ball. MS Dhoni was adjudged man of the match for his knock of 58 off 43 balls with the help of 2 fours and 3 sixes. However, it was Santner who hit the six off the last balls to take the Chennai Super Kings (CSK) home. Rajasthan Royals Playing XI: Ajinkya Rahane, 2 Jos Buttler, 3 Steven Smith, Sanju Samson, Rahul Tripathi, Ben Stokes, Riyan Parag, Jofra Archer, Shreyas Gopal, Jaydev Unadkat, Dhawal Kulkarni. 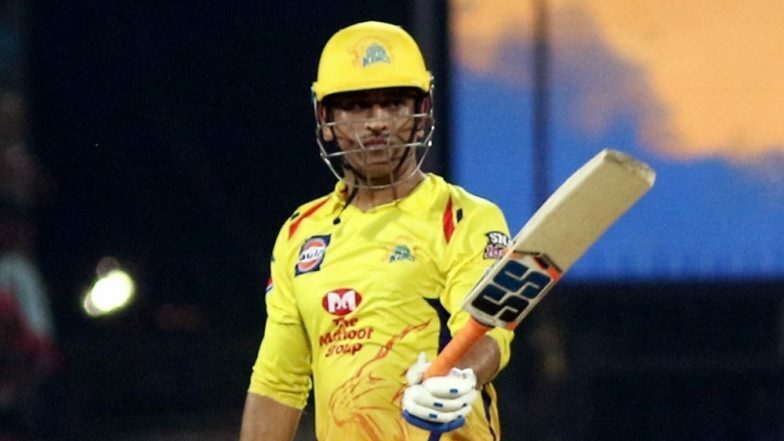 Chennai Super Kings Playing XI: Shane Watson, Faf du Plessis, Suresh Raina, Ambati Rayudu, MS Dhoni , Kedar Jadhav, Ravindra Jadeja, Mitchell Santner, Deepak Chahar, Shardul Thakur, Imran Tahir.